PLEASE READ THESE TERMS OF SALE CAREFULLY BEFORE ORDERING PRODUCTS ONLINE FROM THE LISE CHARMEL PLATFORM. PLEASE, NOTE THAT THESE TERMS OF SALE INCLUDE THE ADDITIONAL TERMS INCORPORATED HEREIN BY REFERENCE. PURCHASES MADE OUTSIDE OF THE UNITED STATES OF AMERICA ARE GOVERNED BY DIFFERENT TERMS. YOU MAY NOT ORDER OR OBTAIN PRODUCTS OR SERVICES FROM THIS WEBSITE IF YOU (A) DO NOT AGREE TO THESE TERMS, (B) ARE NOT THE OLDER OF (i) AT LEAST 18 YEARS OF AGE OR (ii) LEGAL AGE TO FORM A BINDING CONTRACT WITH LISE CHARMEL USA, CORP. (“LISE CHARMEL”), OR (C) ARE PROHIBITED FROM ACCESSING OR USING THIS WEBSITE OR ANY OF THIS WEBSITE’S CONTENTS, GOODS OR SERVICES BY APPLICABLE LAW. 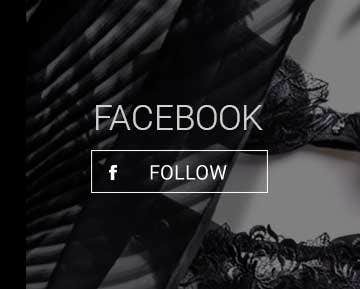 You are reading these terms and conditions (these “Terms”) because you are using a LISE CHARMEL website, digital experience, social media platform, mobile app, or one of our other products or services. These Terms create a legally binding agreement between and apply to the purchase and sale of products and services through www.lisecharmel.com (the “Site”). These Terms are subject to change by LISE CHARMEL (referred to as “us”, “we”, or “our” as the context may require) without prior written notice at any time, in our sole discretion. The latest version of these Terms will be posted on this Site, and you should review these Terms before purchasing any product or services that are available through this Site. Your continued use of this Site after a posted change in these Terms will constitute your acceptance of and agreement to such changes. You agree that your order is an offer to buy, under these Terms, all products and services listed in your order. All orders must be accepted by us or we will not be obligated to sell the products or services to you. We may choose not to accept any orders in our sole discretion. After having received your order, we will send you a confirmation email with your order number and details of the items you have ordered. Acceptance of your order and the formation of the contract of sale between LISE CHARMEL and you will not take place unless and until you have received your order confirmation email. You have the option to cancel your order at any time before we have sent your order confirmation email by sending an email to our Customer Service Department at e-store@lisecharmel.com. (b) Terms of payment are within our sole discretion and, unless otherwise agreed by us in writing, payment must be received by us before our acceptance of an order. We accept most major credit cards for all purchases. You represent and warrant that (i) the credit card information you supply to us is true, correct, and complete, (ii) you are duly authorized to use such credit card for the purchase, (iii) charges incurred by you will be honored by your credit card company, and (iv) you will pay charges incurred by you at the posted prices, including all applicable taxes, if any. We will accept a return of the products for a refund of your purchase price, less the flat return fee (see below), provided such return is made within 15 days of shipment and provided such products are returned in their original condition. To return products, you must email our Returns Department at e-store@lisecharmel.com to obtain a Return Merchandise Authorization (”RMA”) number before shipping your product. No returns of any type will be accepted without an RMA number. Refund will only be issued on unworn, unwashed or defective products. Any worn, washed, stained or product without their tag will not be issued a refund if returned. You are responsible for all shipping and handling charges on returned items. You bear the risk of loss during shipment. All returns are subject to a flat return fee equal to $20 unless indicated otherwise. The fee is waived in the event of a defective or non-conforming product. Refunds are processed within approximately ten business days of our receipt of your merchandise. Your refund will be credited back to the same payment method used to make the original purchase on the Site. Refunds do not include shipping costs. OUR RESPONSIBILITY FOR DEFECTIVE PRODUCTS IS LIMITED TO REPLACEMENT OR REFUND AS SET FORTH IN THIS WARRANTY STATEMENT. OUR RESPONSIBILITY FOR DEFECTIVE SERVICES IS LIMITED TO RE-PERFORMANCE OR REFUND AS SET FORTH IN THIS WARRANTY STATEMENT. NEITHER ANY PERFORMANCE OR OTHER CONDUCT, NOR ANY ORAL OR WRITTEN INFORMATION, STATEMENT OR ADVICE PROVIDED BY US OR ANY OF OUR SUPPLIERS, AGENTS OR EMPLOYEES WILL CREATE A WARRANTY, OR IN ANY WAY INCREASE THE SCOPE OR DURATION OF THIS LIMITED WARRANTY. (a) Who May Use This Warranty ? This limited warranty extends only to the original purchaser of products and services from the Site. It does not extend to any subsequent or other owner or transferee of the product or any transferee or other beneficiary of the service. (b) What Does This Warranty Not Cover. ? This limited warranty does not cover any damages due to: (i) transportation; (ii) storage; (iii) improper use; (iv) failure to follow the product instructions or to perform any preventive maintenance; (v) modifications; (vi) combination or use with any products, materials, processes, systems or other matter not provided or authorized in writing by LISE CHARMEL; (vii) unauthorized repair; (viii) normal wear and tear; or (ix) external causes such as accidents, abuse, or other actions or events beyond our reasonable control. (c) What Are Your Remedies Under This Warranty ? With respect to any defective products during the Warranty Period, we will, in our sole discretion, either: (i) replace such products (or the defective part) free of charge or (ii) refund the purchase price of such products. We will also pay for shipping and handling fees to return the replacement product to you if we elect to replace the defective products. (d) How Do You Obtain Warranty Service ? To obtain warranty service, you must email our Customer Service Department at e-store@lisecharmel.com during the Warranty Period to obtain an RMA number. No warranty service will be provided without an RMA number. (e) Limitation of Liability. THE REMEDIES DESCRIBED ABOVE ARE YOUR SOLE AND EXCLUSIVE REMEDIES AND OUR ENTIRE OBLIGATION AND LIABILITY FOR ANY BREACH OF THIS LIMITED WARRANTY. OUR LIABILITY WILL UNDER NO CIRCUMSTANCES EXCEED THE ACTUAL AMOUNT PAID BY YOU FOR THE DEFECTIVE PRODUCT OR SERVICE THAT YOU HAVE PURCHASED THROUGH THE SITE, NOR WILL WE UNDER ANY CIRCUMSTANCES BE LIABLE FOR ANY CONSEQUENTIAL, INCIDENTAL, SPECIAL OR PUNITIVE DAMAGES OR LOSSES, WHETHER DIRECT OR INDIRECT. (f) What can you do in case of a dispute with us ? The informal dispute resolution procedure detailed in Section 11 is available to you if you believe that we have not performed our obligations under this limited warranty or these Terms. You agree to comply with all applicable laws and regulations of the various states and of the United States including all Export Regulations, as defined below. You represent and warrant that you are buying products or services from the Site for your own personal or household use only, and not for resale or export. Products and services purchased from the Site may be controlled for export purposes by export regulations, including but not limited to, the Export Administration Act of 1979 (50 U.S.C. 2401-2410), the Export Administration Regulations promulgated thereunder (15 C.F.R. 768-799) and their successor and supplemental regulations (collectively, “Export Regulations”). 9. Event Outside of Our Control. (a) YOU AND LISE CHARMEL ARE AGREEING TO GIVE UP ANY RIGHTS TO LITIGATE CLAIMS IN A COURT OR BEFORE A JURY, OR TO PARTICIPATE IN A CLASS ACTION OR REPRESENTATIVE ACTION WITH RESPECT TO A CLAIM. OTHER RIGHTS THAT YOU WOULD HAVE IF YOU WENT TO COURT MAY ALSO BE UNAVAILABLE OR MAY BE LIMITED IN ARBITRATION. (b) The arbitration will be administered by the American Arbitration Association (”AAA”) in accordance with the Consumer Arbitration Rules (the “AAA Rules”) then in effect, except as modified by this Section 11. (The AAA Rules are available at www.adr.org/arb_med or by calling the AAA at 1-800-778-7879.) The Federal Arbitration Act will govern the interpretation and enforcement of this section. We will be responsible for paying any individual consumer’s arbitration/arbitrator fees. This does not include any legal defense fees and you are responsible for paying your own attorney’s fees, if any. (d) You agree to an arbitration on an individual basis. In any dispute, NEITHER YOU NOR LISE CHARMEL WILL BE ENTITLED TO JOIN OR CONSOLIDATE CLAIMS BY OR AGAINST OTHER CUSTOMERS IN COURT OR IN ARBITRATION OR OTHERWISE PARTICIPATE IN ANY CLAIM AS A CLASS REPRESENTATIVE, CLASS MEMBER OR IN A PRIVATE ATTORNEY GENERAL CAPACITY. The arbitral tribunal may not consolidate more than one person’s claims, and may not otherwise preside over any form of a representative or class proceeding. The arbitral tribunal has no power to consider the enforceability of this class arbitration waiver and any challenge to the class arbitration waiver may only be raised in a court of competent jurisdiction. The failure by us to enforce any right or provision of these Terms will not constitute a waiver of future enforcement of that right or provision. The waiver of any right or provision will be effective only if in writing and signed by a duly authorized representative of LISE CHARMEL. (b) To Us. 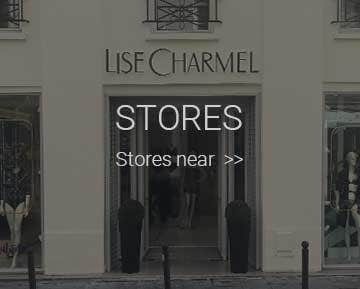 To give us notice under these Terms, you must contact us by personal delivery, overnight courier or registered or certified mail to e-store@lisecharmel.com. We may update the address for notices to us by posting a notice on the Site. Notices provided by personal delivery will be effective immediately. Notices provided by overnight courier will be effective one business day after they are sent. Notices provided by registered or certified mail will be effective three business days after they are sent.